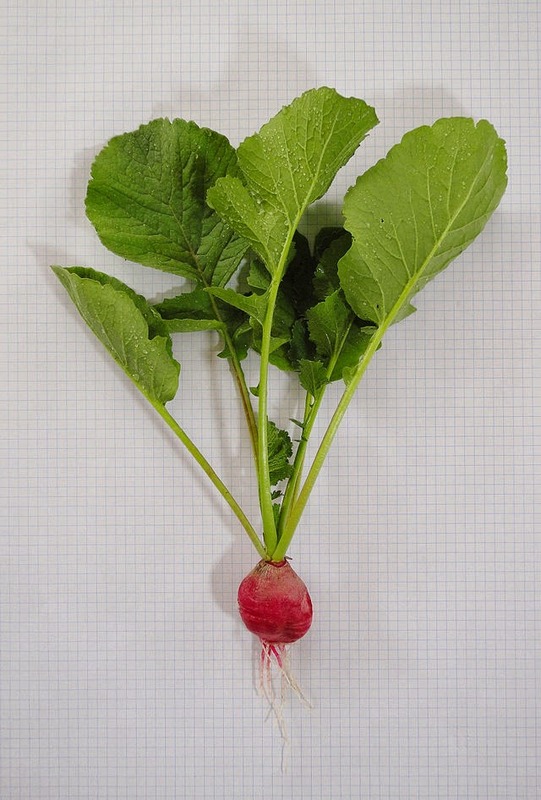 Radish - James likes to slice them thin and put them with some salt and pepper in a bowl of vinegar. He also likes to make radish sandwiches where you spread generous layers of mayo on two slices of bread and thin slices of radish with salt and pepper. You can put them after they've pickled for a while in a bowl of vinegar or just have them plain. Homemade bread and mayo makes it even better.